Fingertip Towels Custom Personalized in Bulk or Blank. Very Inexpensive, Promotional. Optional full color imprint. Lowest prices in the USA and Canada. 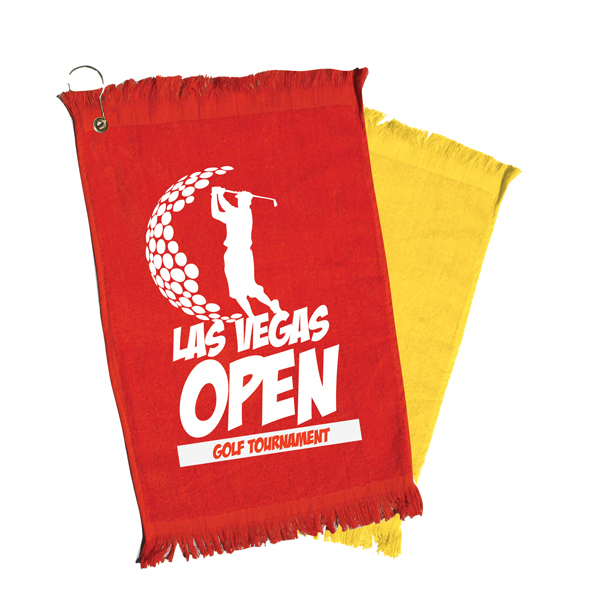 Advertising Fingertip Towels customized in bulk in up to full color. Budget Prices in North America. Free Artwork Design and Secure Online Ordering. American Clients pay no taxes. The unit prices below include your 1-color custom silk-screen imprint on one side. 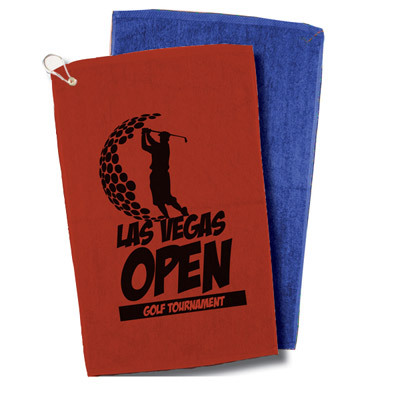 We also supply blank (not personalized) Fingertip Towels at 80% of the EQP (End Quantity Price). Setup Charge for silk-screen imprint: $40.00 per imprint color; $20.00 on re-orders (no Setup Charge for blank items). Additional Imprint Color: Add $0.35 per piece. Additional Imprint Location: Add $0.42 per piece. PMS Matching (in case you need an imprint color different from our standard ones): $31.25 per color. OPTIONAL FULL COLOR IMPRINT: add $1.25 to the unit prices in the Price Table above. Velour Fingertip Towel with Hemmed Ends: One side velour with terry loop on other side. Hemmed ends. 1.3 lbs. per dozen approx..Available in PLAIN and with GROMMET & HOOK.. As low as $1.30 per towel! Imprint Area: 8" x 12"